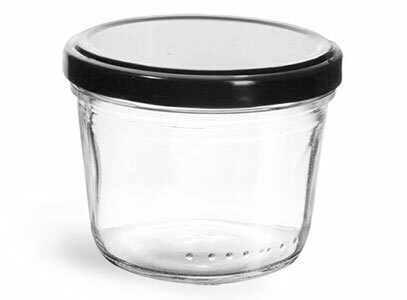 This wide mouth tapered jar is made from clear glass and includes black metal plastisol lined lug caps. 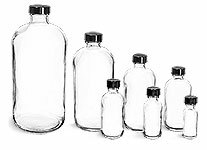 When heated properly, the plastisol liner will melt and create an air tight seal. 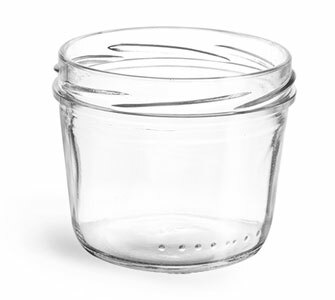 These glass jars are an ideal fit packaging a variety of foods such as jams, jellies, sauce, honey, and more!